Okay Im making a fun rpg/platform/adventure game! If you support this game put this in your signature! Edited by bradftww, 19 July 2009 - 11:51 PM. Dream as if you'll live forever. Live as if you'll die today.~"I'm the shadow on the moon at night, filling your dreams to the brim with fright." Do tell me if it doesn't fit the gamestyle, I'll be more than happy to resprite it if I'm free. I have no idea how to animate, sorry. Edited by SLain, 26 June 2009 - 03:57 AM. Can you try to do some of the other sprites? Sure! I'm pretty busy these days, since school is about to start. Might just do some in my leisure time, thanks. Here's the Gopher. Hope I succeed in animating it. My first try at animation. It isn't very well done. Edited by SLain, 27 June 2009 - 04:21 AM. Check my topic for God's sake! Thanks, and how's this for the hero? You requested it in my topic. Atleast remember were you post! I spent nearly an two hours waiting for a reply on several details . Yes, sure. I just did this and tried to mimic a Korean Drama's ninja walk. Here's some more... You can use it if you like it. It's easy for me to created pictures like this, becouse i'm working with photoshop for about 4-5 years. Hey feel like making a logo? Anyways, I tried animating the hero. I made it hop instead of walk. Edit: Sorry, one of the animation was wrong. Editted. Edited by SLain, 27 June 2009 - 03:09 PM. this games looking really good so far. Request once next time, there are around 4 people that made a bunny for you. I know you need a sprite, but you should have patience. I just made the attack animation. It was 4 frames actually then I figured that the middle one looks odd. Moderator Note: Removed an attempt at bypassing the swear filter, please do not attempt to bypass it, it is in place for a reason. Haha, I support Korean Dramas too! Though I'm not a huge fan. Anways here's the attacking animation, took me some time for this. Kinda rocky. Throwing animation for the hero, I haven't tested it yet. Dieing animation for the hero, not tested also. Edited by SLain, 28 June 2009 - 01:23 PM. Edited by bradftww, 28 June 2009 - 04:03 PM. Here's the throwing carrot since the throwing animation is done. Here's an ICON for your game... I can make more if you want. Here's the flag and the animation. Hey, the flag on the ground don't need any animation right? @Ac rock thanks for the icon! +5 credits. can you make a loading screen + loading bar? Edited by bradftww, 29 June 2009 - 03:14 PM. Edited by AC-Rock, 30 June 2009 - 02:31 PM. I id every single animation and he didn't even take it. Just post somewhere just one time and wait for it man! Over the years I have become very interested in graphic designing and hopes one day I can make a successful career out of it. I have taken a few years of GMC, to work with a project and improve 3D designs. However, I am in need of a higher quality computer for better graphics. Being tight on money I have signed up to a very reliable website, Swagbucks. Ordering many tools and utilities already I have seen that this sight really works. If you could use my referral link here: http://www.swagbucks.../refer/Marcusnw, it will help much in me quickly gaining enough bucks to improve my graphics quality and so on. OK, I tried to make some animations for you. I also made you a carrot that is still in the ground. Sorry the dying and jumping animations are prety bad. But I hope you like the carrot! Edited by Brother156, 29 June 2009 - 04:16 PM. Edited by buffelz, 29 June 2009 - 04:20 PM. I added another frame for the gopher's attack animation to make it not-so-rocky. Edited by SLain, 30 June 2009 - 09:53 AM. can you try a tileset? I did your request in my sprite shop. 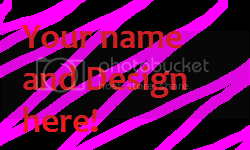 I made one like menu screen... if you want different then i will make it later. You can use default loading progress bar on this image... i think it will be better. I will be gone for some days or a week. Well, here is the 2 frame jumping animation. All it is, is a foot in the air and the tail down as if relaxed. It's basicly Brother156's carrot, i just made it look like a hole. So i don't really need credits . I hope it was OKAY Brother156, else just give him more credits. and the dying animation for the gopher. Sorry I didn't know what to do to the wrench. I will try tilesets this weekend or so.